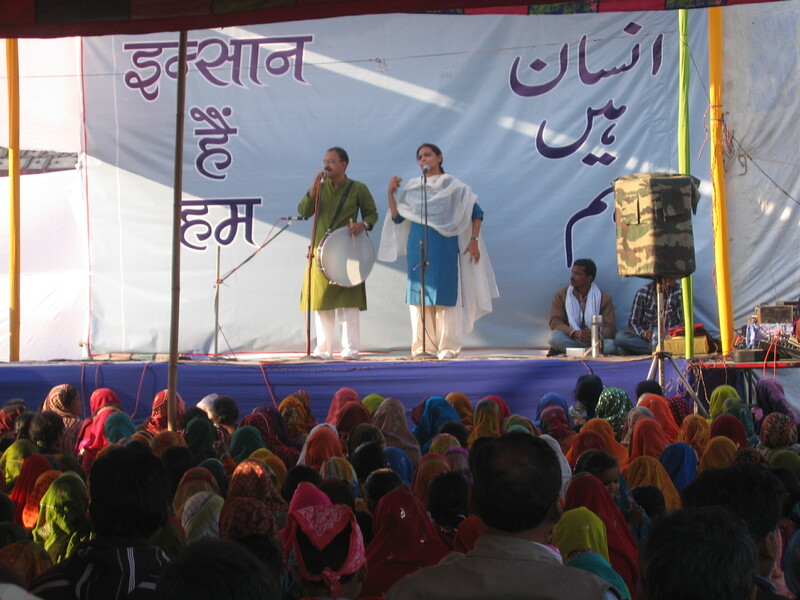 Charul and Vinay, during their musical presentation of ‘Insaan Hain Hum’ in Araria. Insaan hai hum – a musical presentation by Vinay and Charul brings out different forms of social, communal, and development led violence in our society and appeals to our inner beings to reflect and question the hate and violence within and around us. It is an appeal for peace and justice. 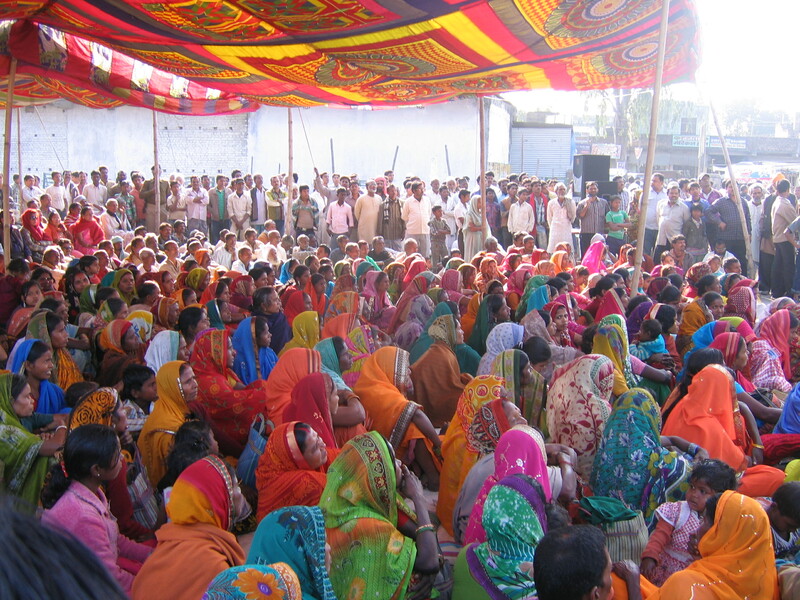 The programme in Araria was organised at the Town Hall on 9th Feb, 2013, also the birth anniversary of play-write Brecht . Though the acoustics were poor and not the kind of quality saathis Vinay and Charul needed, Charul and Vinay sang to an audience of over 500 people seated and an equal number who stood on the sides, people who came to see and stayed to attend the entire programme. The programme ended with a candle light vigil. नहीं होना चाहिए. इन दो दिनों में विभिन्न पहलु पर बात-चीत हुआ, और बीच बीच में चारुल और विनय ने अपने रचित गीतों को गा कर सभी को स्तंब्ध कर दिया. रात में नाटक कार्यक्रम भी किया गया, जिसमें गुजरात दंगा, इरोम शर्मिला, और कर्नाकुलम में समुद्र में हो रही तबाही को अच्छी तरह दिखाया गया. यह कार्यक्रम मानव समाज में एक नया शांति का सन्देश इन दोनों गायक दंपति के माध्यम से पहुँच रहा है.